Condominium units come in all shapes and sizes. They can be apartment-style residences in high-rise buildings, townhouses, lofts, or even detached houses. Condominium bylaws may state who is responsible for maintaining, repairing, and renovating anything within the boundaries of a condominium unit. Common property can include landscaping, elevators, swimming pools, fitness centres, lobbies, plumbing, wiring, sprinkler systems, and furnaces. Common property is anything not contained within the boundaries of a condominium unit. Everyone who owns a condominium unit also owns a share of the complex’s common property and must pay condominium contributions (fees) to the condominium corporation to help maintain and repair the common property. 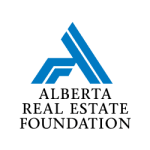 In Alberta, when a condominium development is registered with the government, it becomes a condominium corporation. The condominium corporation consists of everyone who owns a unit in the development. Owners then elect a board of directors to manage the condominium corporation. Anyone who owns a unit in the complex can run for a position on the board of directors. Board members are all volunteers. They are responsible for many things including preparing financial documents, enforcing bylaws, and maintaining common property. Want to know more? Visit condominium governance and operations. Condominiums come in all shapes and styles from high-rise residential towers to converted loft warehouses to luxury detached housing developments. Read more about condominium styles: Choosing a Condominium. Many people like the high-amenity, low-maintenance lifestyle that comes with condominium living. Owners may have access to on-site amenities like fitness centres and swimming pools, and they don’t have to worry about mowing the lawn or shoveling snow. However, the condominium lifestyle may not suit everyone’s needs. Learn more about whether a condominium is the right option for you.